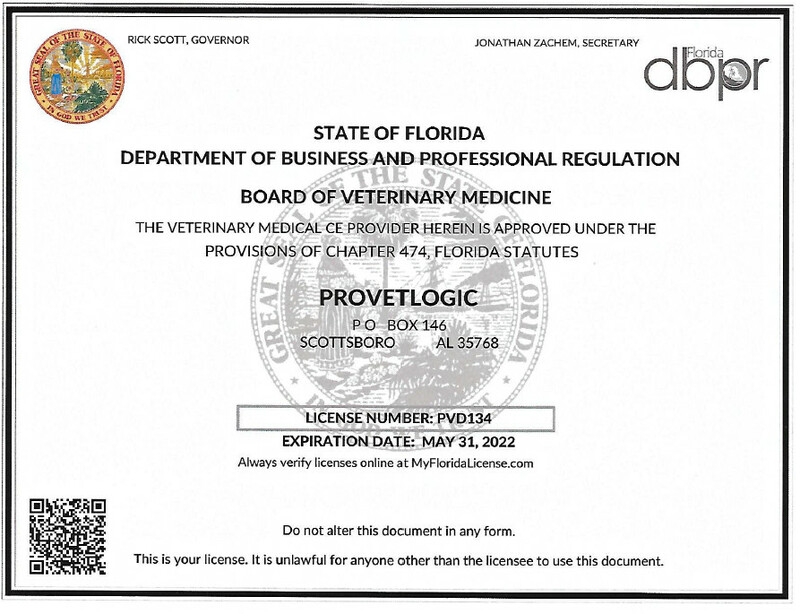 ProVetLogic is pleased to announce that it we are approved by a Board of Veterinary Medicine to provide veterinary continuing education with a focus on disease prevention and odor control in the animal environment. ProVetLogic is dedicated to the health and well-being of animals and it is our goal to provide effective technologies and staff education, which will help reduce or eliminate germs (ASEPSIS) and causes of nosocomial infections of patients. Ask about Visual tools, such as color coded labeling and wall-mounted protocol laminates. On our website you will find a number of protocols for cleaning hospitals, kennels, exam rooms and more. It can be difficult to keep up with the latest industry advancements or consult with someone with experience in your particular area of need. Your learning doesn’t end once you leave the classroom and it gets tedious to have to explain everything to every person in your setting. Our on-line courses help provide you the information you need to deliver the best care possible to your patients. Help train your new veterinary staff by asking them to view our on-line courses that aid in establishing contamination free zones, how to have a safe and odor free kennel and the proper methods for cleaning and disinfecting. Upon successful completion of the test, a certificate of completion is awarded.